The IFI is holding its annual Open Day on Saturday September 16th with a line-up of free movies running from 1pm to 11pm. As well as free movies, the customary barbecue in the courtyard and special discount on annual IFI membership, there are a number of tours and a jazz brunch in the cafe bar. In addition to the one preview, handful of old favourites, and several sheer oddities, there are chances to lift the curtain and see the wizard; with talks from the IFI Archive staff and tours of the Projection Booth. The ‘Ask an Archivist’ desk in the foyer will give visitors the opportunity to learn about different film stocks, preservation, restoration, digitisation, and even view and handle film. But projection tours to go behind the little window of flickering light, and check out the busy working of the specialised department; handling anything from digital, to 16mm and 35mm, up to 70mm – the IFI being the only cinema in the country that can run 70mm reels; are sadly sold out. As always IFI Membership will be available at a discounted rate for the Open Day and there’s a BBQ on the terrace from 16.00 onwards. And this year Air France are running a competition for a pair of return flights to Paris so that one might finally fulfil that nagging desire to run thru the Louvre as if in a nouvelle vague picture. But what are the free movies? Well, here is a guide to the 12 films being shown in Temple Bar. It’s 25 years since the IFI opened its door in Temple Bar, and there is one notable film also turning 25 this year that has been much discussed this summer. But enough about Twin Peaks: Fire Walk With Me… Emilio Estevez is Gordon Bombay, a cut-throat lawyer sentenced to community service after a DUI, who coaches an unruly youth ice-hockey team with ruthlessness to earn redemption. 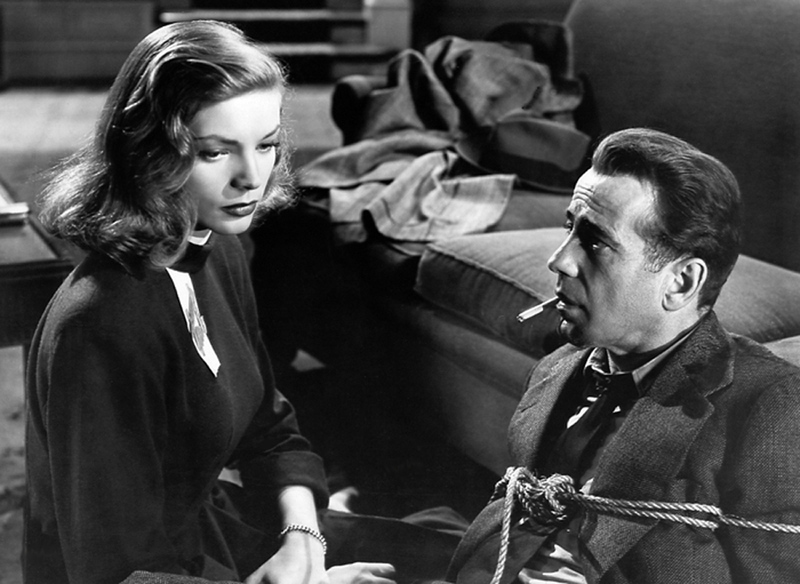 A high water-mark of film noir, The Big Sleep was adapted by William Faulkner and Leigh Brackett from the first of Raymond Chandler’s hard-boiled novels about PI, and all-round shop-soiled Galahad, Philip Marlowe. The great Howard Hawks directs Humphrey Bogart and Lauren Bacall in a murky tangle of shady LA characters, innuendo laden dialogue, literate zingers, and baffling plotting. Just don’t ask who killed the chauffeur. Harold Lloyd’s final silent film from 1928 sees his customary ‘glasses’ character this time appearing as a baseball-obsessed New Yorker determined to save the city’s last horse-drawn streetcar, just as another expression of a fine, noble, and disinterested nature, and also to impress the girl whose grandfather owns it. 86 minutes of rapid-fire sight gags and elaborate comedy set-ups ensue, and a cameo from Babe Ruth to boot. Robert Wise, director of The Sound of Music, was the unlikely figure picked to lead the crew of the starship Enterprise into the new frontier of cinema. 132 minutes, a regrettable portion of which is lovingly sustained shots of the post-Star Wars VFX accompanied by Jerry Goldsmith’s new Trek theme, sees Kirk, Spock, Bones, et al investigate a mysterious alien entity posing a threat. 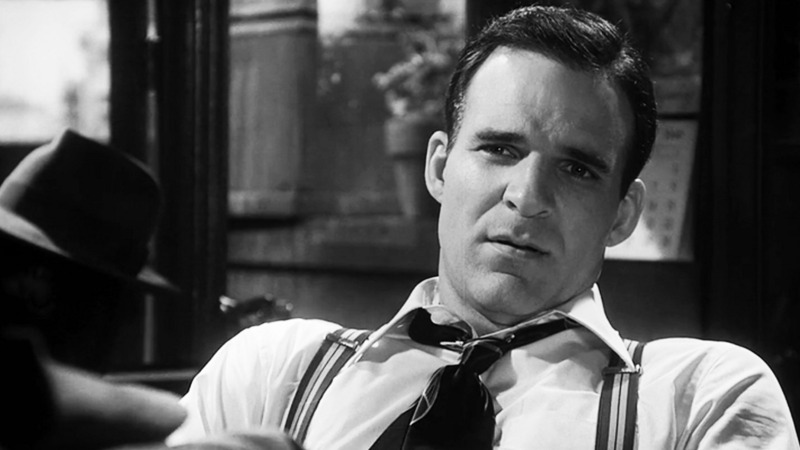 Steve Martin continued his fruitful collaboration with director Carl Reiner after The Jerk with this homage to 1940s film noir. While Woody Allen was busy inserting Len Zelig into world events, Reiner and Martin wrote a zany plot and built a farcical amount of sets in order to have Martin interact with old footage of Humphrey Bogart, Veronica Lake, Alan Ladd, and many more. Cillian Murphy woos Kelly MacDonald, Colin Farrell is obsessed with woks, bus-driver Brían F. O’Byrne is aggrieved at a kid, David Wilmot is being unnerved by Deirdre O’Kane’s lust, and vainglorious Garda Colm Meaney is being filmed by documentarians. The blackly comic intersections of Mark O’Rowe’s screenplay no longer seem as impressive as they initially did back in 2003 when everyone was talking about brown sauce in tea. MILLER’S CROSSING, Albert Finney, Gabriel Byrne, 1990. TM and Copyright (c) 20th Century Fox Film Corp. All Rights Reserved. William Friedkin decided, for reasons passing understanding, to use his post-French Connection and Exorcist clout to remake Henri-Georges Clouzot’s 1953 suspense classic The Wages of Fear. Roy Scheider stars in a tale of men driving trucks with highly unstable nitroglycerine over rickety bridges on a mission to extinguish an oil well blaze. This is remembered now for Easy Riders, Raging Bulls’ account of its disastrous production and reception. The Coen Brothers stepped up their ambitions from indie noir and screwball comedy with this expansive Prohibition-era gangster film. 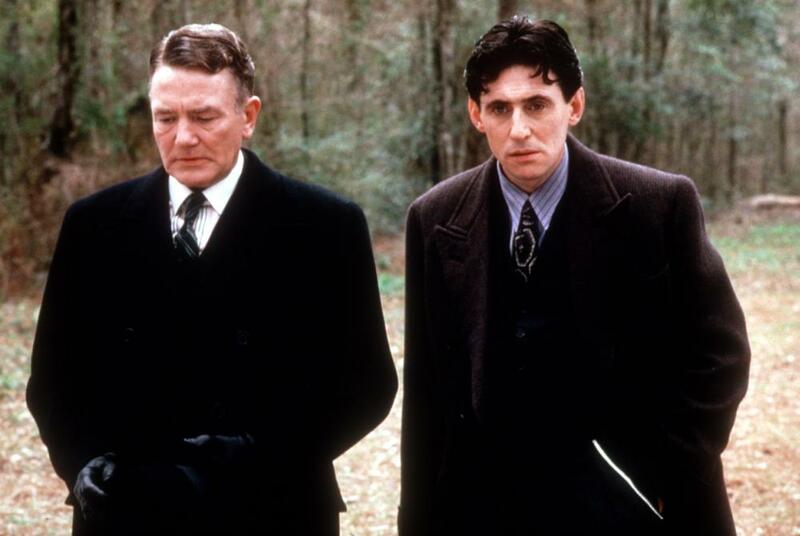 Gabriel Byrne is right-hand man to Albert Finney’s mob boss. When Byrne is banished, over John Turturro’s bookie and Marcia Gay Harden’s moll, it begins a deadly game of cat and mouse between rival gangs; featuring much double-crossing, hard-boiled badinage, and a spectacularly OTT use of ‘Danny Boy’. Amelie creator Jean-Pierre Jeunet and his one-time directing partner Marc Caro’s 1991 debut is a queasily slapstick spin on Sweeney Todd. Clapet is a landlord in an apartment building in post-apocalyptic France, who controls his tenants’ food supply via his butcher’s shop; prime cuts from the men he hires. Louison (Dominique Pinon) fills the regular vacancy, but his love for Clapet’s daughter complicates matters in this queasy comedy. In 1976 Nova Scotia fifteen-year-old Kit and his girlfriend Alice run away from home in order to reunite with his estranged mother (Molly Parker), while the USA bombastically celebrates its bicentennial. Accompanied by Kit’s imaginary version of Andy Warhol, the two undertake a road trip during which they confront the difficulties they face in their teenage romance. Quirky and comedic, Bruce McDonald’s film features beautifully photographed Canadian landscapes. The audience choice is yet to be announced but voting for the shortlist of 10 drawn up by IFI staff has closed. 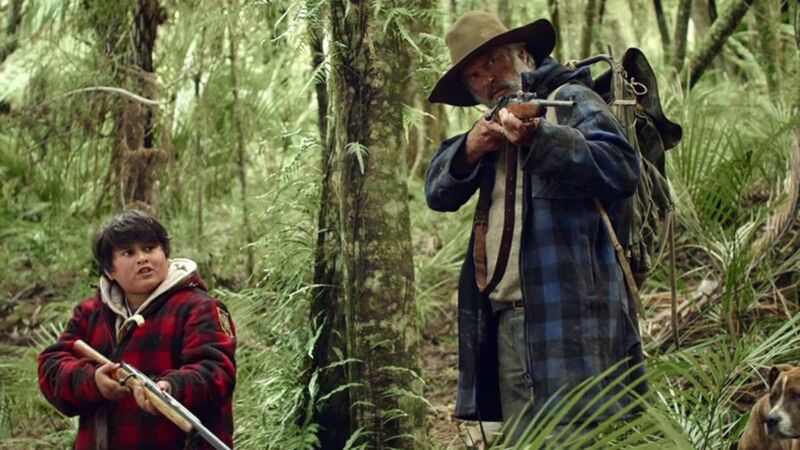 Here’s hoping for Hunt for the Wilderpeople! Although as that screened in preview at last year’s Open Day having it again as a returning favourite might be pushing it. Past winners include Submarine, Good Vibrations, Short Term 12, and Me and Earl and the Dying Girl. A genuine oddity is a silent movie in prime time on Open Day… Accordionist Dermot Dunne and saxophonist Nick Roth, Artistic Director of the Yurodny Ensemble, will provide a live musical accompaniment, drawing heavily on Irish and Jewish folk music. The 1926 film is an ethnic comedy of the broadest of stock characters in 1920s NYC: Irish cop, Jewish storekeeper, cheerful Irish wife, Jewish mother. So, those are the films, but that’s only planning’s first step… Sadly after two years of running five sets of films; which saw movies begin near 11pm and end near 1am; things are back to the traditional four in this 25th anniversary year. Trying to do four films was always an endurance marathon, but to get into five films was surely beyond mere mortals, and yet undoubtedly somebody did try in those two years… But even to do four movies one must sort out strategy, for two sets of reasons. One can, obviously, only watch one of the three films running, but the film chosen from each set determines what films are available in subsequent sets. Choose The Big Sleep from the first set of films, and it becomes damn near impossible to see Star Trek: The Motion Picture from the second set of films. To make a quick-change from Star Trek: The Motion Picture to Sorcerer involves having to leave one screen and join a queue for another screen, with neither film starting on time, especially as some introductory speaker always overdoes curating their favourite film. The unexpected can derail well-laid plans as some films will be unexpectedly in demand whilst others unexpectedly languish, and it is impossible to predict which. Might one casually pick up a ticket for Miller’s Crossing a minute before it starts as Talking Movies’ occasional guest writer Elliot Harris once memorably did for The Purple Rose of Cairo? And how can popularity be predicted in the absence of announced screens? After all amongst past audience choice winners Good Vibrations and Short Term 12 did not make Screen 1, yet Submarine did. One needs a good mental map of run-times and queue-times for improvised plans. And then there’s the second, newer reason to sort strategy if attempting multiple films. Tickets were allocated, 4 per person, first come first served, at 11am; which saw a queue forming from 9.30am, snaking to Dame Street. The days of that Open Day morning buzz are gone. For the second year in a row queues will form inside the IFI, a desk for each movie, an hour before screenings –2 tickets per person. Multiple movie devotees must work together, because they’d have to not be watching a movie in order to queue for tickets for the next movie; reducing them to a mere 2 movies! Expect the queue to form 30 minutes before tickets will be disbursed. Don’t expect pseudo-economists trading off queuing during films they don’t mind missing in order to get extra tickets for a film they do want to see, in order to get someone to queue for them for a later film they want to see.